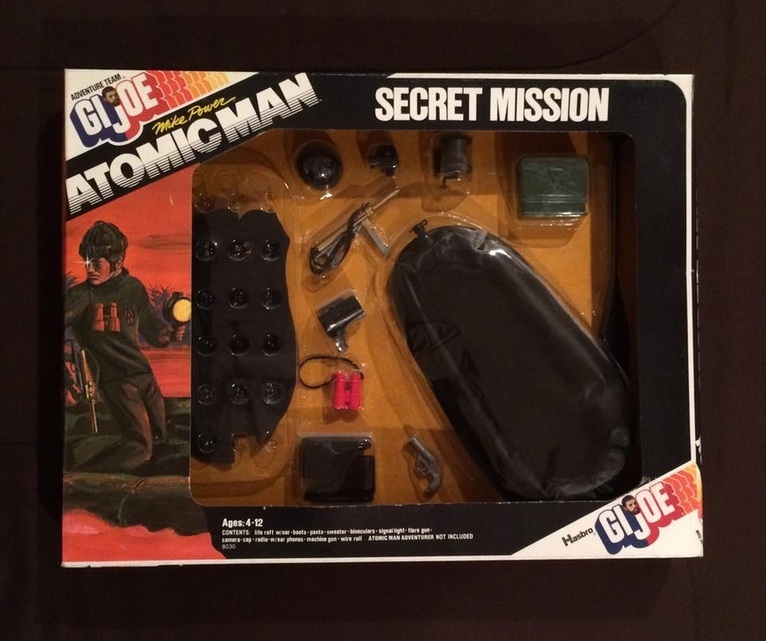 This set (8030) is an edited rerelease of the classic Secret Mission to Spy Island. 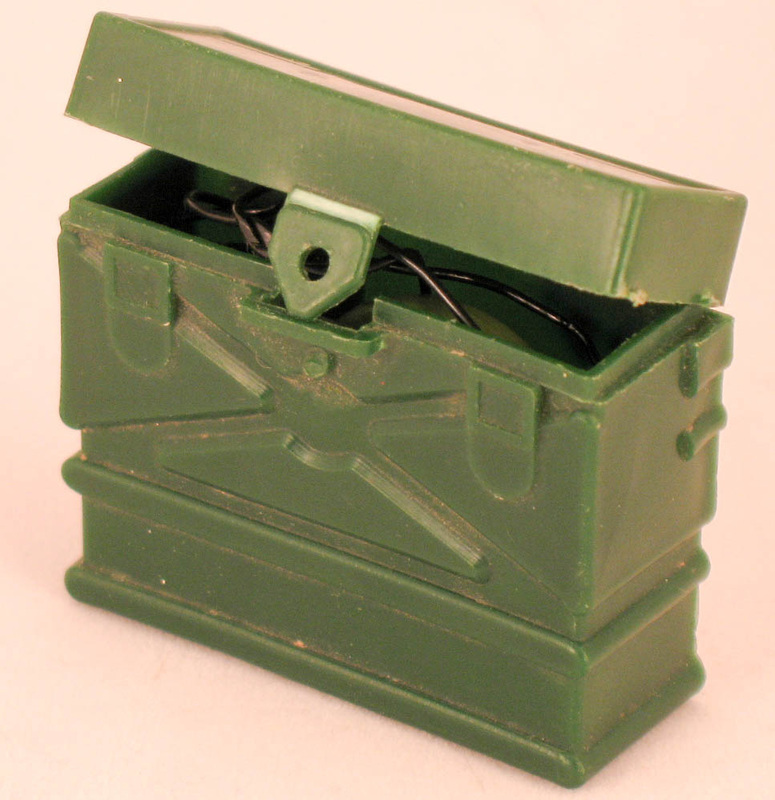 The cap of this set is smaller and thinner than the 1969/70 original, and the radio has a molded from tab and plug-in hinges rather than the more complex pinned hinges of earlier versions dating back to the 1967 Sabotage set. The binoculars are rubber strap versions, and the dynamite and detonator were dropped from the set. The grease gun in the set also often has a rubber strap. Image of the tough to find box below courtesy of John Ramirez. Left and right, two views of the late issue radio with plastic latch and hinges included with this set.